The cover-story of the issue is “Rage on the Right: The Year in Hate and Extremism”, and this text appears in prominently on the front cover of the report. According to the SPLC, We Are Change Pittsburgh, a non-partisan group, is part of the “radical right” – a classification which the SPLC also says encompasses militia groups, racist white supremacists, Neo-Nazis, and more. 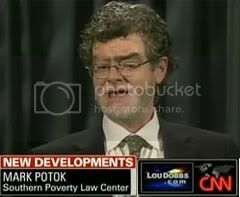 In the cover story, editor Mark Potok further alleges a “cross-pollination between different sectors of the radical right”, including “’Patriot’ groups” such as We Are Change. As an example, he makes the claim that “racist rants against Obama and others coursed through the Patriot movement” over the past year – yet another claim which he provides no evidence for. We Are Change Pittsburgh also rejects the notion that they engage in “groundless conspiracy theorizing”. While the topics the group covers range from the dangers of genetically modified food and water fluoridation to the Federal Reserve System (which the group characterizes as a “quasi-private banking cartel”), perhaps the most controversial topic with which We Are Change Pittsburgh deals is the attacks of September 11th. We Are Change Pittsburgh has held public screenings of a number of documentaries which challenge the official account of what happened on 9/11 and offer evidence that the 9/11 Commission Report was a whitewash covering up insider complicity at the highest levels of the federal government. Some of that evidence is laid out in a documentary entitled “9/11: Blueprint for Truth”, which We Are Change Pittsburgh will be distributing on Sunday. The two-hour DVD features a presentation by Richard Gage, AIA, an architect of 20 years who founded the organization Architects and Engineers for 9/11 Truth. The group is comprised of over 1,100 architects and engineers who are petitioning Congress for a “truly independent investigation with subpoena power in order to uncover the full truth surrounding the events of 9/11/01 – specifically the collapse of the World Trade Center Towers and Building 7”. In his presentation Gage presents the “science-based forensic evidence” which he says proves “beyond a reasonable doubt” that the destruction of the three World Trade Center skyscrapers on 9/11 was accomplished by means of controlled demolition. The third tower, Building 7, was a 47-story building which was not hit by an airplane, and which collapsed in approximately seven seconds around 5:20pm on 9/11, falling with virtually free-fall acceleration for over two seconds. Its collapse exhibits “all the characteristics of classic controlled demolition with explosives” and “none of the characteristics of destruction by fire” according to the Architects and Engineers, whose website is AE911Truth.org. Another video that We Are Change Pittsburgh will be distributing is entitled “National Security Alert”. It features video-recorded eyewitness testimony with a number of eyewitnesses to the attack on the Pentagon which was gathered in the context of a three year independent investigation into the event. This testimony “unfortunately happens to conclusively establish as a historical fact that the violence which took place in Arlington that day was not the result of a surprise attack by suicide hijackers, but rather a false flag ‘black operation’ involving a carefully planned and skillfully executed deception” according to a note on the home page of CitizenInvestigationTeam.com, the website of the investigators. Similar gatherings will be held the same day by We Are Change chapters in Philadelphia, Scranton, and Shenandoah.